We first visited the charming, historic town of Perth, Ontario back in April of this year when it was celebrating its 40th annual Festival of Maples. You can about that here. Yesterday, we were there again to watch the its world record-breaking Kilt Run. 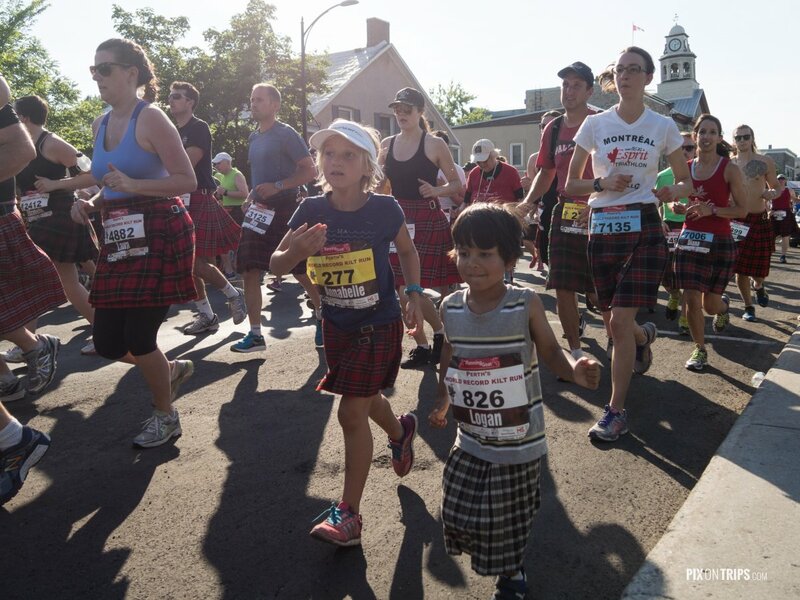 The first ever Perth Kilt Run was held in June of 2010 by a group of volunteers and was supposed to be a one-time-event; however, it attracted thousands of people and has been held annually ever since. That year, with 1,089, it broke the official previous Guinness World Record of 250 runners. Filmed at 6:00 pm, the video below shows runners taking off from the start line. In the background stands the tower of town hall. I pointed the camera perpendicular to the street to capture the pace of the run and the large number of participants. During the race, the runners crossed a bridge on Drummond Street, them winded through neighbourhood streets. A spectator dressed in traditional attire was performing on bagpipe beside the race route, a nice, fitting Scottish touch for the event. 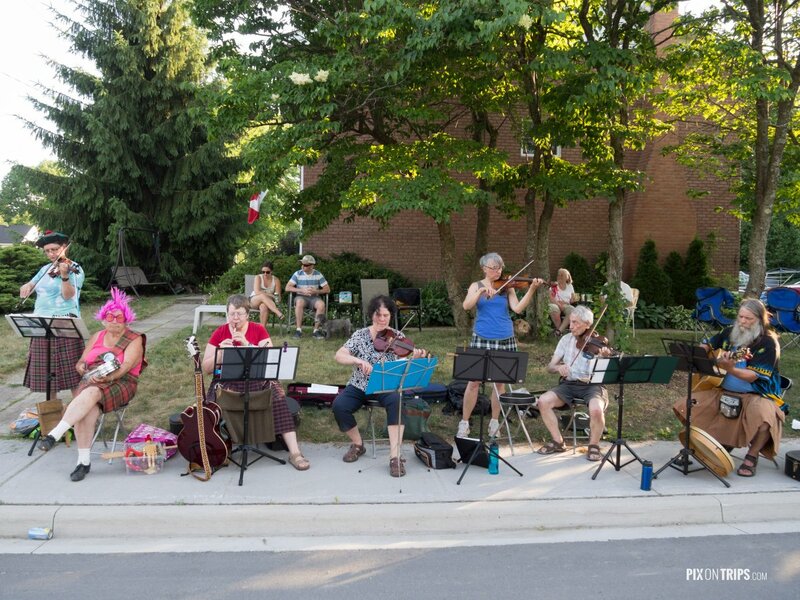 Local residents also played music along the route. It was 32°C (90°F) in early evening, hot for this part of Canada at the start of summer. In a resourceful fashion, residents used garden hoses to spray the runners, successfully cooling them off. The run made for a pleasant weekend day trip to Perth – an experience we’d like to repeat next year, hopefully to witness another world record!